A federally protected loggerhead turtle was released Wednesday off the Florida Keys after recovering from a spear-gun shot to its head. Cheered by spectators, staff and volunteers from The Turtle Hospital in Marathon released the 115-pound reptile near the Seven Mile Bridge. 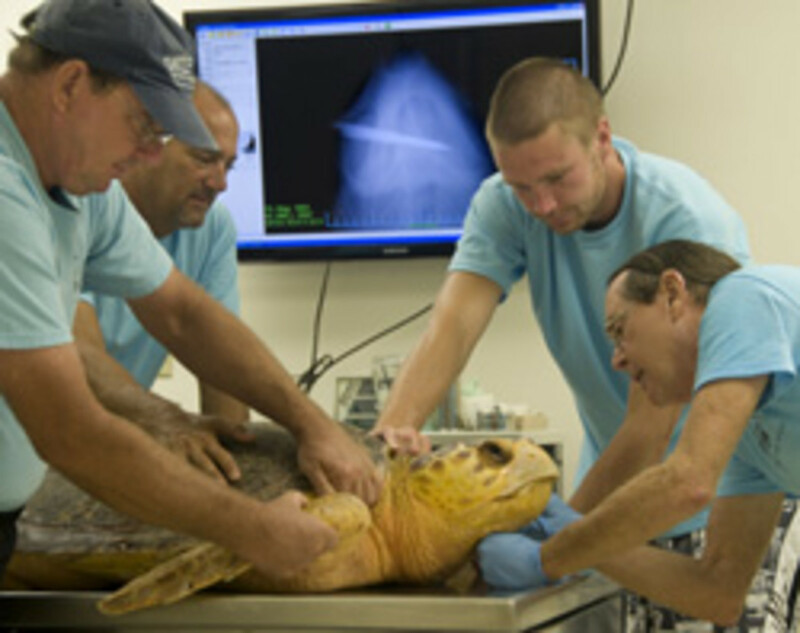 The turtle was rescued off Big Pine Key in early August with a 4-foot-long underwater spear embedded in its head. Hospital veterinarian Doug Mader removed the spear. The reptile, named Sara after the daughter of the man who found it, recovered about five weeks after surgery. "This has to be one of the luckiest turtles in history," said Mader. "The spear went in just behind the ear, crisscrossed over the windpipe and lodged against the jaw on the other side. Quarter of an inch in either direction and that animal would be dead." 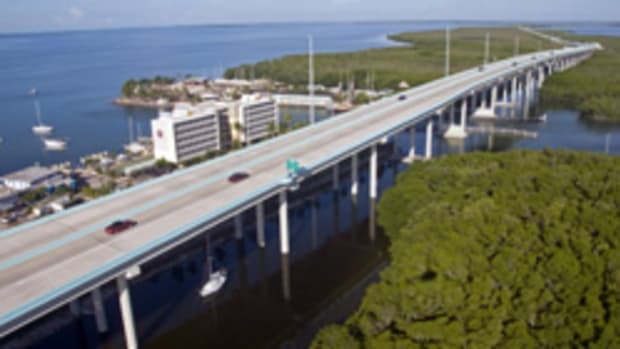 Officials from National Marine Fisheries and the Florida Fish and Wildlife Commission have launched a criminal investigation. They hope to be helped by donations from outraged Keys residents and business owners who contributed to a reward for tips leading to the arrest and conviction of the guilty party. More than $16,000 in cash has been raised, plus services including fishing and dive trips, as well as eight hours of free welding by a local tradesman. "We&apos;re used to animals getting hit by a boat or tangled up in fishing line or ropes," said Richie Moretti, who founded the hospital 25 years ago. "But this is where somebody came in deliberately and hurt our animals."